Lucas Punkari/Daily Herald Prince Albert Raiders defenceman Kaiden Guhle chases after Moose Jaw Warriors forward Tate Popple at Mosaic Place last week. Kaiden Guhle and Ozzy Wiesblatt have both been in tournaments before. However, they are about to know what its like to represent their country on the international stage. The Prince Albert Raiders rookies made their way out to New Brunswick earlier this week as they take part in the 2018 World Under-17 Hockey Challenge in Quispamsis and Saint John. “There’s bits and pieces that we can take from those events, but everything’s going to be completely different at an international tournament as we get to face some of the best players in the world in our age group,” Wiesblatt added. After the pair attended a development camp in the summer, Guhle and Wiesblatt both received phone calls from Hockey Canada while they were in class a couple of weeks ago. “I knew that some of my friends from around the league and some of the guys that I met in Calgary at the camp were getting phone calls, so I was hoping that I would be getting one,” Guhle said. 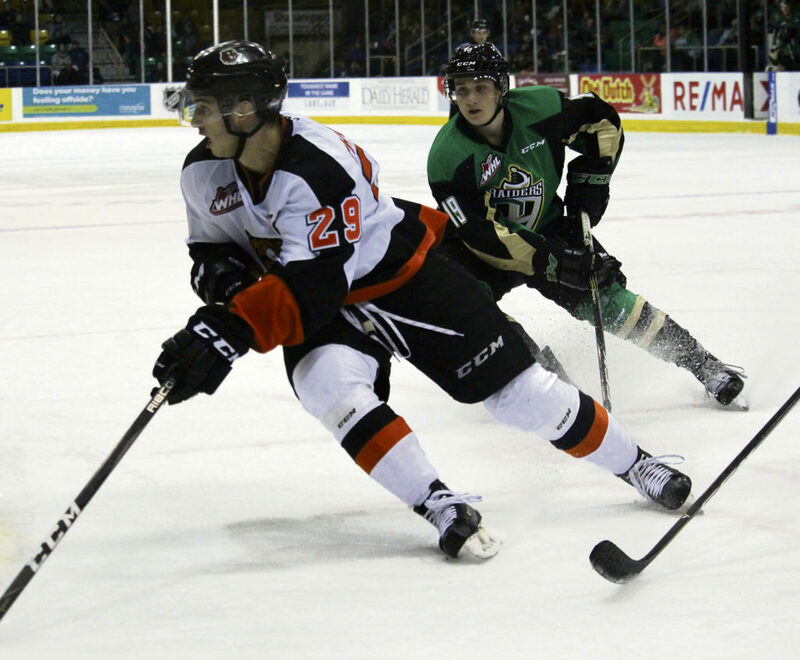 Forward Ozzy Wiesblatt keeps an eye on Ryan Chyzowski of the Medicine Hat Tigers during a Prince Albert Raiders home game in September. Wiesblatt, a second round pick in the 2017 WHL Draft by the Raiders, has played in 16 games this year. The Calgary forward has scored two goals and set up two markers for the top ranked team in the Canadian Hockey League. Guhle, who is from Sherwood Park, recorded his first career WHL goal last Wednesday as he put home a shot from the point against the Moose Jaw Warriors. The first overall pick in the 2017 Bantam Draft also has two assists in 15 games this year. “My main focus has been on working hard to be better in each game,” Guhle said. Guhle will be suiting up for Canada Red at the tournament, with his first round-robin game taking place Saturday against Russia. Meanwhile, Wiesblatt and Canada Black will be in action Sunday against Canada White. 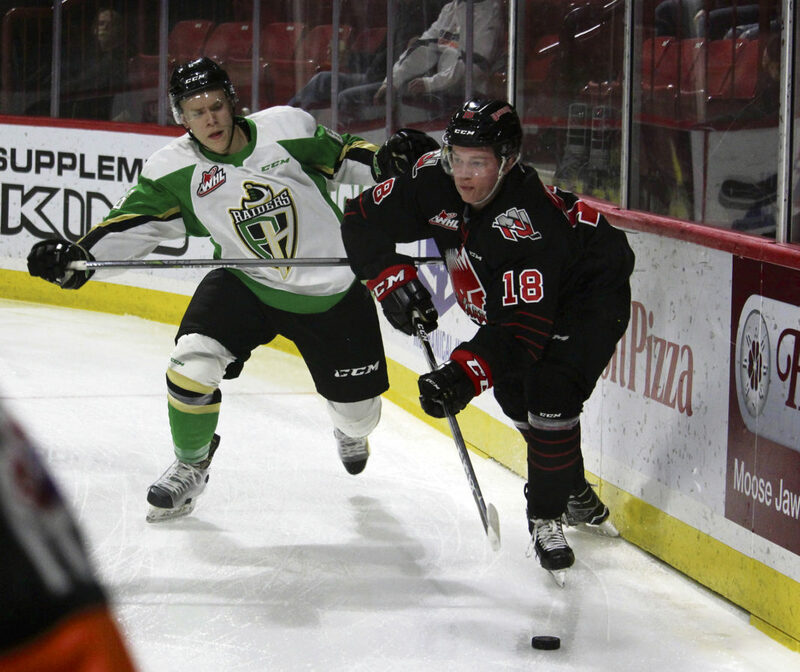 Both players are slated to miss two games with the Raiders, as the team plays host to the Kootenay Ice Friday and will then entertain the Swift Current Broncos next Friday night. 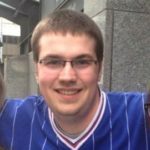 Raiders import defenceman Sergei Sapego is listed as day-to-day with an illness on the WHL’s Weekly Report, while blueliner Lane Kirk and forward Kody McDonald are still sidelined due to injuries. Garrett Clegg, a seventh round pick by the Raiders in the 2015 WHL Bantam Draft, has committed to the NCAA’s Robert Morris Colonials for the 2020-21 season. The 18-year-old forward from St. Albert, Alta. has 19 points in 14 games this season with the Alberta Junior Hockey League’s Sherwood Park Crusaders. Following a 4-2 road win over the Saskatoon Blades Thursday, the Ice have a 6-7-2-1 record to sit in fifth place in the Central Division and are tied with the Moose Jaw Warriors for the final playoff spot in the Eastern Conference. Rookie forward Connor McClennon, who was the second overall pick in the 2017 WHL Bantam Draft, will not be in the lineup Friday as he is playing for Canada White at the World Under-17 Hockey Challenge. Saskatoon vs. Moose Jaw – 7 p.m.
Edmonton vs. Regina – 7 p.m.
Lethbridge vs. Swift Current – 7 p.m.
Medicine Hat vs. Calgary – 7 p.m.
Brandon vs. Kamloops – 8 p.m.
Victoria vs. Portland – 8 p.m.
Seattle vs. 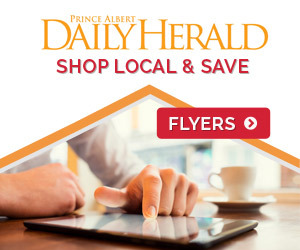 Prince George – 8 p.m.
Tri-City vs. Everett – 8:30 p.m.